I'd like to start this post off by wishing you all a belated Happy New Year and Happy Shoe Year from the bottom of my heart! This month your girl did a fair bit of shoe shopping. If you're anything like me, holiday gift shopping goes something like "one for you, one for me," a method which resulted in this mini haul. One of my resolutions this year is to try new things, and what could be a better way to start than with shoes. In the month of December I ventured into realms on opposite ends of the footwear spectrum: Sneakers & Stilettos. Not to worry, my love for all things chunky and 90s inspired still holds strong, but every girl needs a bit of variety in her shoe closet! Keep reading for the deetz on December's #SHOECRUSH picks! 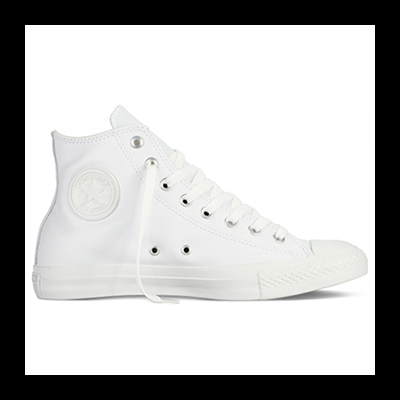 These white on white leather sneakers are the second pair of Chuck Taylors to walk into my life. The first were a green pair purchased for me by my mother in 8th grade. I at one point had Dora the Explorer shoelaces in them, as if I weren't enough of a misfit already. Those green kicks got me through many a Warped Tour and hold loads of sentimental value. I decided an upgrade was necessary and welcomed the smarter, chicer, older sister to the tried and true into my closet. The Chuck Taylor is a classic that will never be passé and is the perfect way to make the monochrome sneaker trend a bit more punk rock! 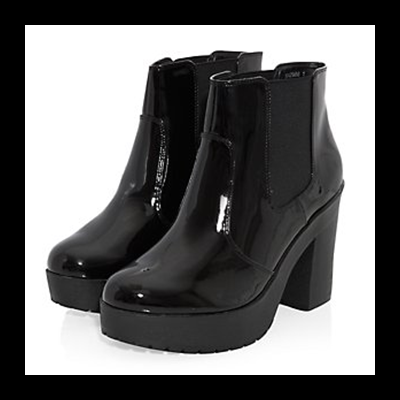 I met these babies during a late night online shopping binge. I'd been on the lookout for the perfect patent chelsea boot for a while, and was stoked when I came across these. They are the perfect height and are wide at the ankle which makes them super cute with chunky socks. This is the first New Look item I've owned and I must say I am impressed with the quality so far, as they are very reasonably priced. The material is low maintenance and the chunky cleated rubber sole makes them perfect for looking cute while safely trekking around in the winter time. I also own a version of these boots in black suede (as seen here & here) so I was beyond ecstatic when I found these for an amazing deal at Topshop. They had been listed as sold out for a while so I was very lucky to get my hands on these. 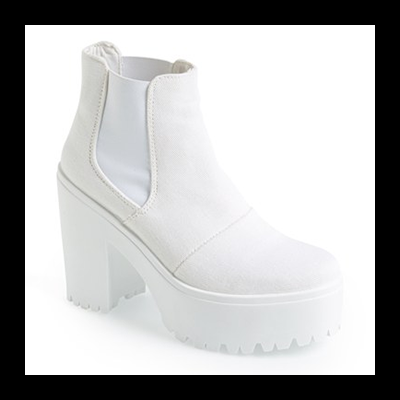 They are the perfect way to do a white platform without looking overly Baby Spice inspired. I expect that these will be my go-to shoe for early spring. 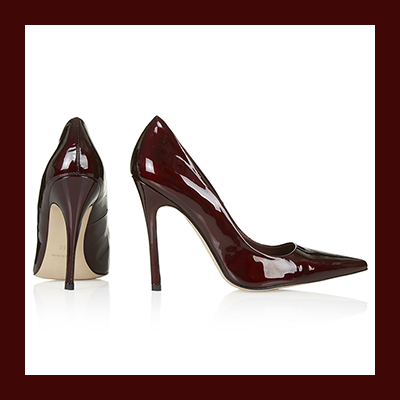 I'm all about height on any occasion but I seldom stray from my block heel ideal. As soon as I laid eyes on these however, I knew they had to be mine. As you may or may not have noticed by now, I am a massive fan of Topshop brand footwear. They are usually full leather and made in Spain while being more affordably priced than many of their competitors whose product quality is not to the same standard. These for example are genuine leather and fully leather lined with a perfectly cushioned sole for comfort. I'd recommend these to any girl in need of a classic sassy pump to keep her comfy and confident all night. They are available in 5 different colours and are reasonably priced at £58.00 or $105.00 which is awesome!